A dramatic day 3 to Wales Rally GB and for the title fight. Rally leader, Ott Tanak retired with mechanical issues, Neuville slipped into a ditch and landed in 8th. 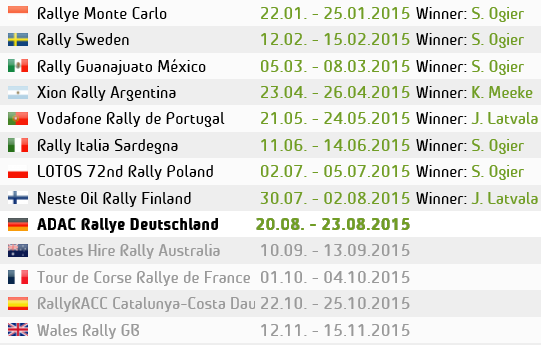 All this left Sebastien Ogier – Who was taking a ‘risk all’ approach from this mornings 5th place – Which paid off. The Frenchman ends a dramatic Saturday in Wales with a 4.4 second lead over Toyota’s Jari-Matti Latvala, with Toyota team mate, Esapekka Lappi in 3rd. Over in the WRC2 class, Skoda’s 18 years old youngster Kalle Rovanpera leads the way, with team mate Pontus Tidemand over a minute behind.